Provide comfort for the family of Loretta Cannon with a meaningful gesture of sympathy. Loretta Carolyn Cannon, was born on October 10, 1951, in Westover, Maryland to the late Rev. Charles W. and Ellie Mae Miller Cannon. 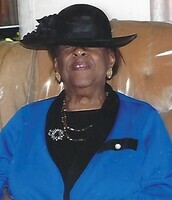 God, in His infinite wisdom, called her home on Friday, April 5, 2019 at her residence in Horntown, Virginia. Loretta received her education in public schools in Maryland and New Jersey. Upon graduating, she matriculated at Bowie State College and later transferred to the University of Maryland Eastern Shore. She earned both a Bachelor’s, as well as a Master’s degree in Education. Loretta taught at North Accomack Elementary School, now Kegotank Elementary School, for many years. During her tenure, she taught Pre-k, as well as 4th and 5th grades. She dedicated thirty-one years of service. Loretta began her Christian journey at Dea’s Chapel United Methodist Church in Horntown at a very early age. She worshiped at several churches throughout the years, many of which her father pastored. Loretta blessed many congregations with her talent on the piano, as well as through her vocals. In later years, she joined the flock at First Baptist Church, where she served in the music ministry. Loretta loved to play the piano and sing. She also also had a penchant for reading during her leisure. Loretta will be missed by a host of cousins, other relatives, and dear friends. To send flowers in memory of Loretta Carolyn Cannon, please visit our Heartfelt Sympathies Store. Provide comfort for the family of Loretta Carolyn Cannon by sending flowers. Wonderful, fun loving lady. I enjoyed working with Ms Loretta early in her teaching career, later with her retirement. She, her mom and dad were often out visiting , eating and enjoying the love shared by each other. The ministries they carried has changed hearts and will live forever with those who received. I trust that she rests with the Lord and is rejoicing with the loved one who awaited her arrival. Prays to comfort those who she loved and loved her.